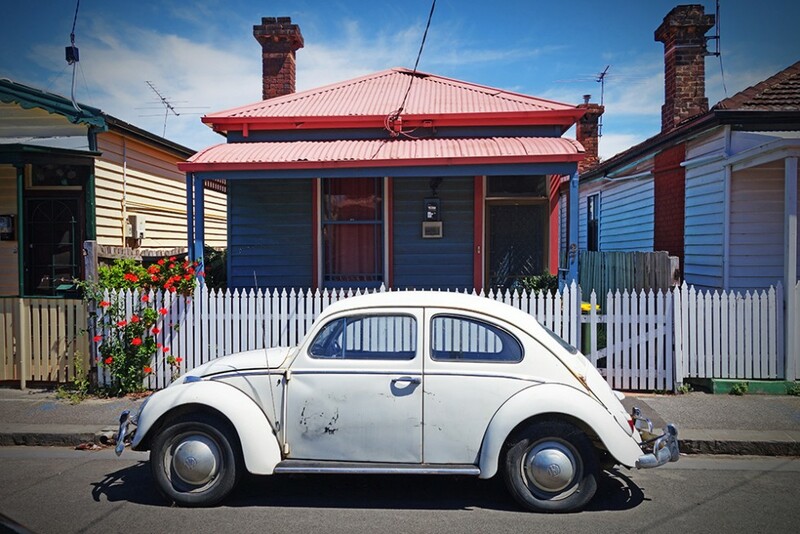 On a backstreet in Collingwood, a city suburb of Melbourne, an old VW Beetle is parked in the burning hot sun. The scene is silent but for the noise of a nearby busy road. it’s a quiet street, the kind that doesn’t go anywhere but home for the people who live there. The heat in the sun is ferocious, so the street is lifeless and empty. Nobody goes outside when it’s as hot as this. Please “Like” 366 Pictures on Facebook. It really helps spread the word of the project around, and I would like more people to enjoy my work!